If you are like me then you love, LOVE lists. There is something so satisfactory about crossing things off of the list that makes one feel like the worlds most productive person ever! One problem to consider, the average notebook or pad of paper is less than visually appealing (first world problems, right?) 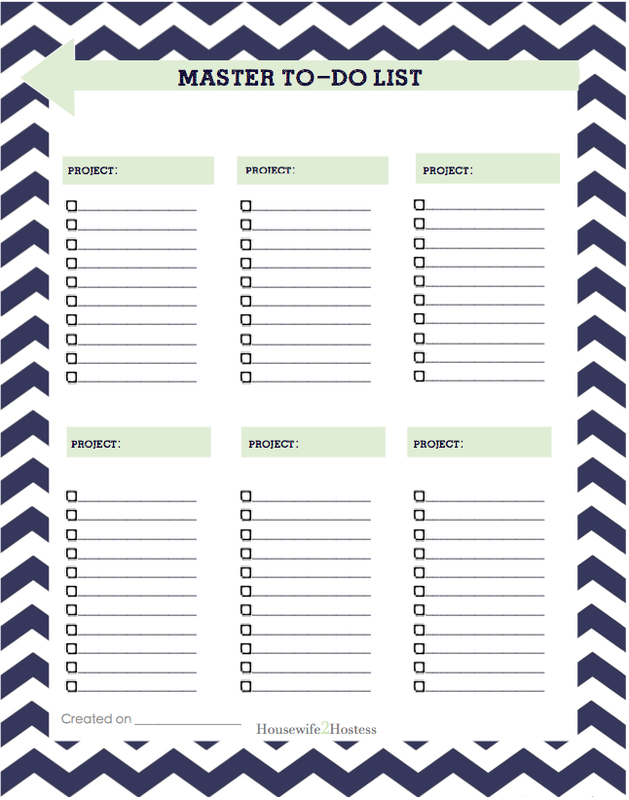 So, I’ve created these lovely checklists to help you be more organized, and to also look good doing it! The daily checklist should be filled out with the routine daily tasks you would do. ig: Making the bed vs. Meet a new friend for lunch. Some examples of mine routine items would include: Get ready for the day, wipe down countertops and putting away clutter. By making them routine you can laminate it and reuse it again and again. Click here for the Daily Checklist PDF. I also like to go through the list once or twice and time how long that task takes me. Then one day when I’m “too busy” to unload the dishwasher or make the bed I can look down and realize I have 3 minutes. 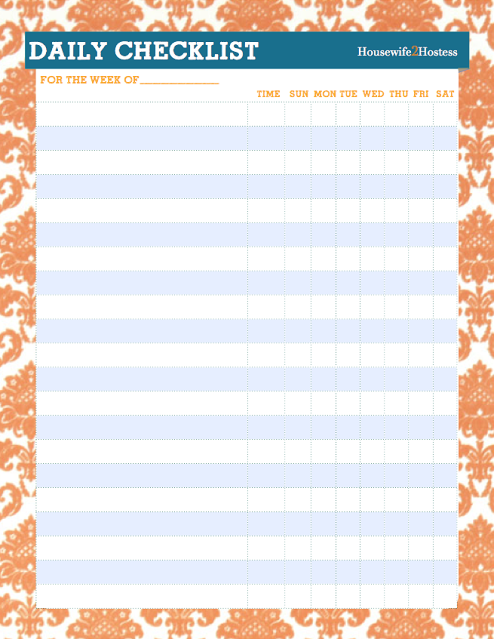 The weekly routine chart is similar to the daily because you want to put routine weekly tasks on it. Some of mine are: Wash the car, clean out the fridge, pick up/drop off dry cleaning, etc. 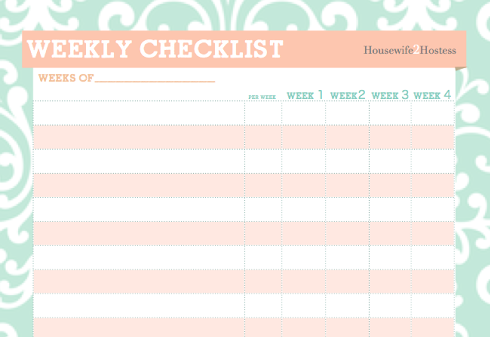 Click here to get the Weekly Checklist. And finally the MASTER CHECKLIST, it sounds more glorious than it really is. What you’ll do here is choose a project category: Household, personal, spiritual, work related, etc. and write down what needs to be done. e.g. Paint a room, read a book, finish a big work project, etc. This can be anything really. Click here to print the Master Checklist. ⟵6 Juicing Recipes That Will Rock Your Socks! I’m working on a holiday prep post for Wednesday at my personal blog. 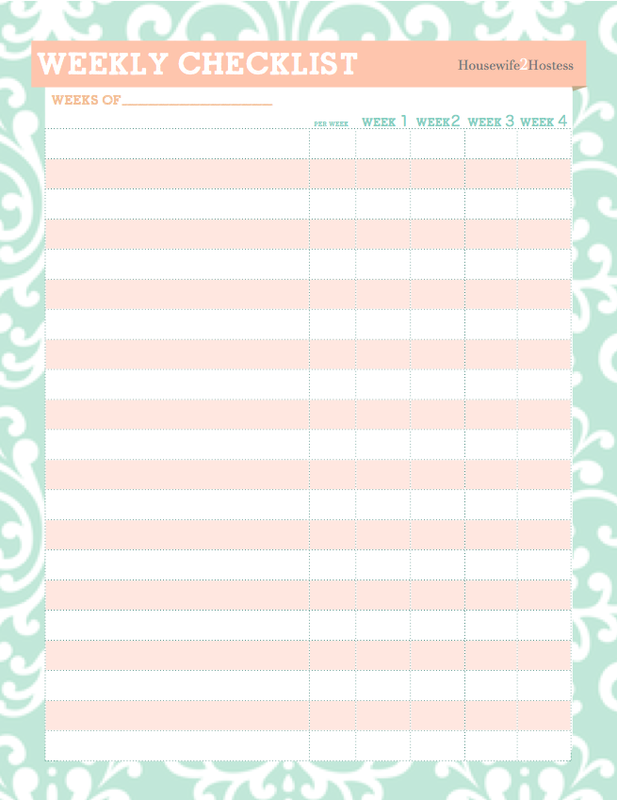 Do you mind if I link back to this post for the beautiful printables you offer here? I would love that! Thank you for asking!